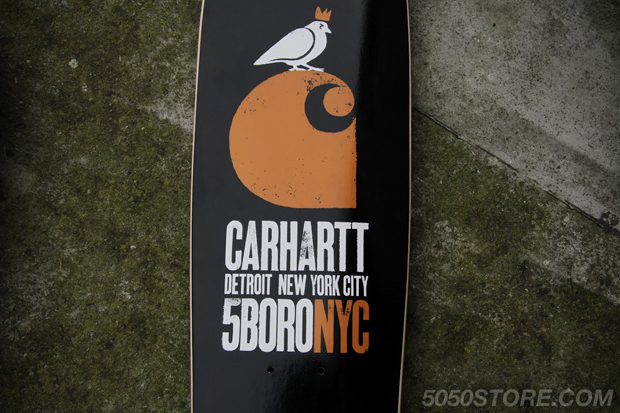 New York skateboard brand 5boro join forces with Carhartt for one of the special projects within the legendary workwear brand’s Spring/Summer ’12 collection. 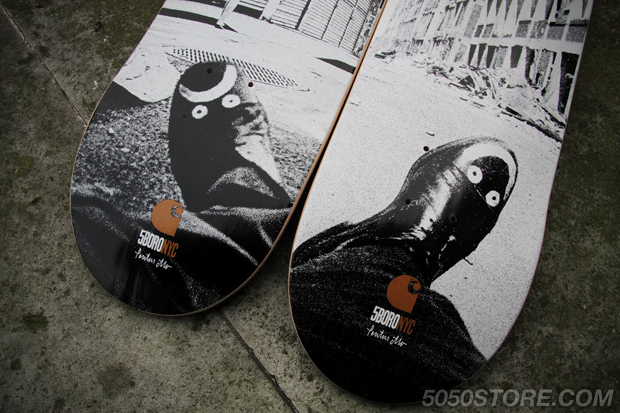 Alongside a dual-branded Workers Jacket and pocket tee, the two worked on two decks and a mini cruiser board. The first two decks feature a split image of Detroit and New York City, referencing each brand’s roots, while the cruiser features the co-branded imagery used throughout the collection. 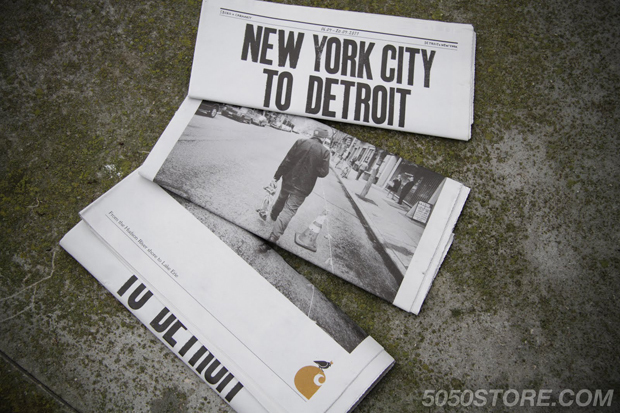 Purchases also come with a limited newspaper about the project. With collaborations with Adam Kimmel and and London Undercover circulating this same week, Carhartt really show their versatility as a brand with limited projects like this, and it’s why there will always be something for everyone within any of their collections. 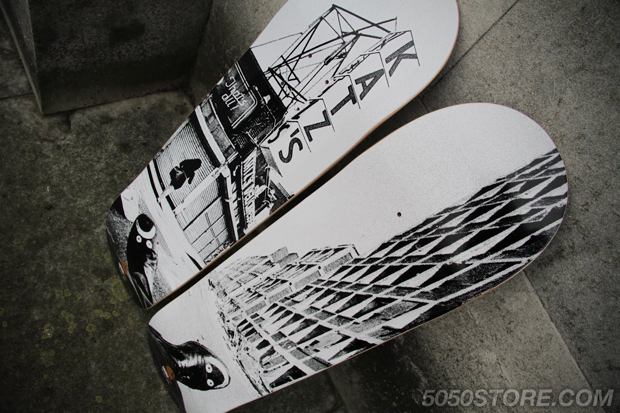 The boards are available from Fifty Fifty now. Tweaker x Carhartt x Your Skate Shop!